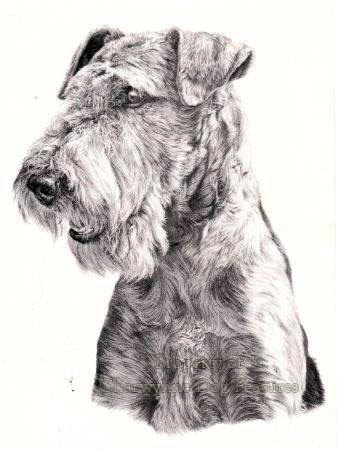 One day in the future, perhaps around 2050AD, a fairy tale written about a private West End club for dog fanciers, the Kennel Club of Clarges Street, Piccadilly, which fell asleep for one hundred years, will be told to wide-eyed and perhaps unbelieving audiences. Unlike traditional fairy stories, it will sound harmful instead of harmless, charmless rather than charming. The essence of the leading character, Rip Van Clarges Street, will be: sleeping whilst others worked, reacting rather than being pro-active, chasing the bus rather than catching it, never setting the pace, being secretive and resenting both change and criticism. Rip Van Clarges Street could identify a problem and then tell you what he wasn't doing about it. His followers longed to respect him but never found sufficient grounds to do so. He could drag his feet when others found joy in running. He gave the word 'turgid' a bad name, indulging in lame excuses, appearing not to enjoy responsibility, never seeking to take a lead, enjoying the lack of reaction drawn by inactivity and rarely pleasing those who had expectations of him. But who could have woken Rip Van Clarges Street? 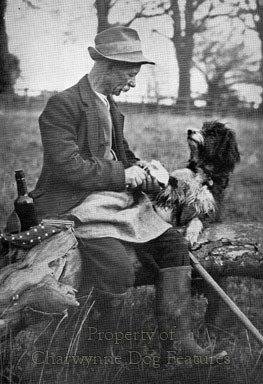 What was being done in dogdom at the end of the 20th century in Britain? 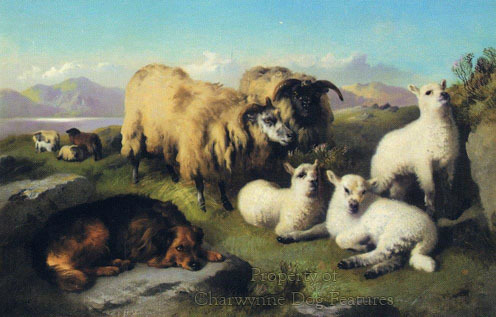 How are the disturbing problems in the world of pure-bred dogs being faced as we begin the next millennium? What is actually being done, for example, to oversee incompetent judges, who can do so much harm to breeding programmes by making up unworthy champions? The appointment of judges is receiving attention, following the Working Party report; but what about the role and appointment of assessors? Appointing a poacher to be head gamekeeper sounds smarter than it is, but it could lead to a new generation of course-trained, seminar-educated bright and informed aspiring judges being left in despair by the rather less than profound, often surprisingly ignorant senior show judges about to become their assessors. Some would argue that the very people who created the need for the Working Party report now stand a good chance of actually being elevated by it. Awarding the wrong dog the C.C. for five years is no basis for promotion. Rip, wake! You are the watchman! 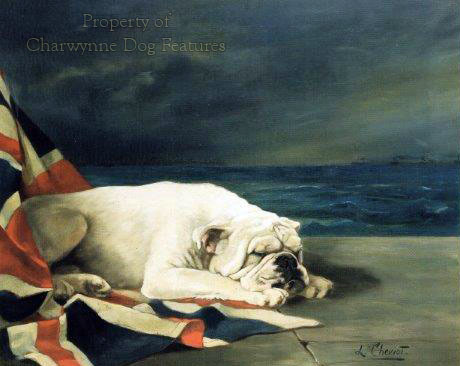 In far too many aspects of exhibiting dogs, Britain is being left behind and unwisely wallows in the benign torpor favoured by those who should be providing answers but don't. Take the judging issue, now being half-addressed. Judging dogs is about having sufficient knowledge, not to be confused with having the opportunity for lots of experience. Why should someone who has bred 100 pups automatically have special knowledge of anatomy, breed points and locomotion? Breeding skills and judging skills are different. The Judges Sub-Committee too seems to favour judges who have judged a lot rather than those who know a lot. A bad judge judging frequently is a bigger menace than any novice. In some breeds there are over 100 judges recommended to award C.C.s; does each of them really have the knowledge to launch a champion? Rip, wake! We have burglars! The rules for judges could be so simple: Judges must have passed written and practical examinations. They must not judge dogs bred by them or bred (first generation) directly from their stock. Members of the same family or extended family, employers or employees, club officials and show officers must not exhibit under one another. No one commercially involved in dog breeding must be allowed to judge. Tough? Of course, but rules like this would bring in impartial knowledgeable people and a new wave of real standards, genuine quality, visible probity -- and the best dogs will win! But it is easier to cling to the past or just snipe at new proposals sincerely tabled. Rip, dreaming of the future doesn't make it happen! What is being done about over-breeding? The Kennel Club will register blind and deaf puppies from parents with high hip scores and hereditary cataracts. The Kennel Club will register any number of pups from one kennel as long as the kennel owner registers the pups under the names of different so-called breeders; this legitimises thinly-veiled puppy-farming. The Kennel Club will register pups from a rat-infested, excrement-coated, damp and dingy, unheated outhouse on some remote Welsh puppy farm. Will Rip van Clarges Street go on sleeping or be shamed into waking up and honouring a stated mandate "to improve dogs" by decreeing some urgently needed quality control? How about: Puppies will only be registered from premises inspected by KC field officers, when both parents have health clearances, when the breeder possesses an affix and is a member of a breed club with a mandatory code of ethics, and, then only register 20 puppies a year from one such breeder. Likely? Hush, you are waking Rip! "Fas est et ab hoste doceri". Loud groans of protest from a stirring Rip will no doubt be picked up by those with an axe to grind or vested interest to protect. A case of 'graviora quaedem sunt remedia periculis' (some remedies are more grievous than the perils) will be claimed. But what are other countries doing? The American KC inspects hundreds of breeding establishments every year. In Switzerland, a dog cannot be used for breeding unless it passes tests for conformation, health and temperament. In Finland, each breed organisation is required to compile a breeding programme covering health, character, performance and appearance. South Africa has introduced a requirement for hip dysplasia clearance for dogs of all breeds. In Sweden, a litter is registered when the parents meet specified criteria; if they do not, the litter cannot be recognised. Poland, Colombia, Mexico, Croatia, Slovenia, even El Salvador, have clearance requirements. When Rip fell asleep we were the leaders in this field -- some solace! The Canadian KC has a strategic planning committee looking at an advanced registry of pedigree dog breeders. Is Rip having bad dreams? Who wants to be a Third World country in dogdom? Who wants to be governed by a Kennel Club which deals out punishment to those who break its rules but never looks to its own performance. I'd like my country to show the world how things are done. Shouldn't the first Kennel Club in history try to set the pace, lead the way, be the 'brand leader'? Wake up, Rip! For any kennel club to claim "but we are only a registry" is lame and more than a little pathetic. Any worthwhile organisation wants to tell the world how much it is doing not how little. For an organisation with a capability to improve the well-being of subject creatures to hide from responsibility is simply unacceptable. If a self-appointed governing body cannot cope with the demands of modern society then it should step aside. Followers of rugby football will know of the quite avoidable row still rumbling on between the powerful clubs and that game's governing body, the RFU. Perhaps the more powerful canine clubs should be more vocal and set out their stall for the KC to respond to -- who is going to wake up Rip Van Clarges Street? 'Sleeping whilst on sentry' is a serious military offence; does Rip even know of his 'sentry' role? Between 1989 and 1991, nearly half the dogs referred to the Royal School of Veterinary Studies with aortic stenosis were Boxers. This is now the most common congenital heart condition in dogs in the UK. There is a control scheme for use within the breed of Boxer and whilst only murmur-free dogs should be used for breeding in an ideal world, there are other merits in afflicted dogs, which the breed gene pool could benefit from. But shouldn't the public know if their expensive purchase has a condition with a genetic component? Not all dog breeders are honourable people. Who's in charge? Who runs the register? An increasing number of breeds is experiencing whelping problems. If pups born by caesarean section had their papers marked to say so then their reduced value would soon make breeders look more closely at head and pelvis size. The free for all in dog-breeding may suit irresponsible owners, money-grabbing vets and lazy registrars but what does it do for the well-being of dogs? An institution set up to improve dogs should respect its mandate. Who controls the register? Rip! 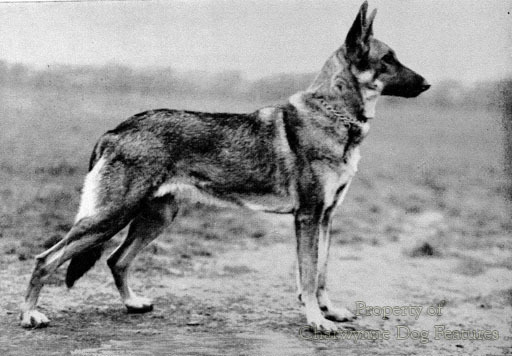 Haemophilia A disorder is disturbingly high in German Shepherd Dogs. 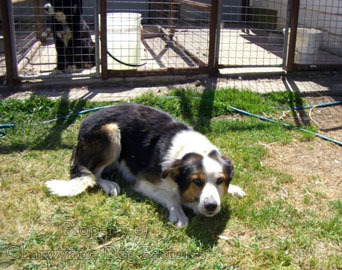 The breed council is involved in a screening and certification programme. Roughly 10,000 male GSDs are registered each year and the disorder is seen more commonly in males. In the first four years of the scheme less than 1,500 animals have been assessed. Is this good enough? Are we making our best endeavours to assist this breed, at every level, including the top? Shouldn't affected males and carrier females have their papers marked? Sadly, as always, the responsible breeders who take part in voluntary schemes pay the price. Why is policy in such matters forever left with the better breed clubs to make 'on the hoof'? Where are you, Rip? The Kennel Club has announced, with regard to PRA in Irish Setters, that registration is to be endorsed for any dog identified as a carrier of the RCD-1 form of centralised PRA. This does not prevent such a dog being bred from however. 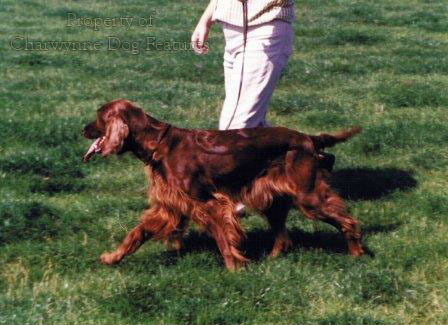 But it has to be said that Irish Setter breeders in the UK in the last half-century have done a great deal to try to eradicate a disability which could destroy their breed. The problems in other breeds are not being tackled so resolutely and honourably. But who is letting them get away with it? The biggest threat to the well-being of pedigree dogs is being posed by irresponsible humans -- and their clubs! How can Rip Van Clarges Street sleep so soundly through such times? Turning to the problems of bad temperament in dogs, we have comparable dilemmas. 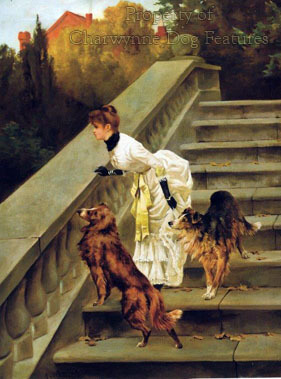 In the November 1996 issue of Kennel Gazette, it was announced that a Bullmastiff, an Airedale Terrier and a Japanese Akita were to be banned for life from exhibition and their future progeny barred from registration. No reason is provided. No explanation is given. If these dogs have bitten a judge in the ring, why not say so? How can we ever hope to take strong action against unwanted aggression in dogs if the facts are hidden? At the Manchester Dog Show in February 1996, a Bullmastiff was reported for aggressive behaviour. The dog continued to be shown. 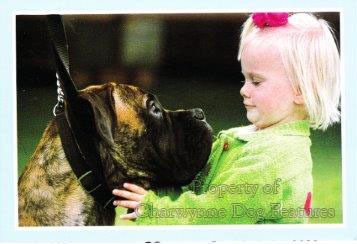 At the Welsh and West of England Bullmastiff Society Show in May 1996, this same dog attempted to bite the judge and was again reported. The General Committee of the KC considered both reports at its meeting of 22nd October 1996; the dog was banned but this information had still not been promulgated when the January 1997 issue of the Kennel Gazette came out, i.e. nearly a year after the first incident. This is just not good enough and it is specious to argue innocence until proven guilty. Dogs reported for aggression must be suspended until an early hearing of their case. Judges and the public, as well as the good name of dog, deserve protection. Any competent lawyer would enjoy a chance to prosecute a dog owner (and probably the KC too) whose dog bites someone whilst being allowed in the ring after being reported. Rip! You've overslept! Ten years ago, I was lecturing at the London Management School and I asked each course member to write down the biggest single failure in their organisation. 77% ticked the box labelled 'inability to move with the times'. One overseas student added quaintly: "I am working for a clever sleeping giant" and, whilst that may seem mutually contradicting at first glance, there is profundity there too. It's not just stupid people who get out of touch; there can be short-term cleverness in not choosing to stir yourself to face change. But we all know that a problem deferred is never a problem solved. Do wake up Rip Van Clarges Street, the millennium approaches! Your country needs you, its dogs need you and there's work to be done. Words..." (from the Prayer of the Dog, Anon).